Na domačo stranPoročanje v živoSeznam poker turnejWSOP2017 World Series of PokerEvent #14: $1,500 H.O.R.S.E. There were 18 players to start the day in Event #14: $1,500 H.O.R.S.E. and it was a star-studded field that returned. Multiple bracelet winners Max Pescatori, Brandon Shack-Harris, Ian Johns, Richard Ashby, James Richburg and David “Bakes” Baker were all looking to add another to their wrist. At the end of the day it was David Singer, another bracelet winner, who walked away with the bracelet and the $203,709 first place prize after a nearly six-hour heads-up battle. 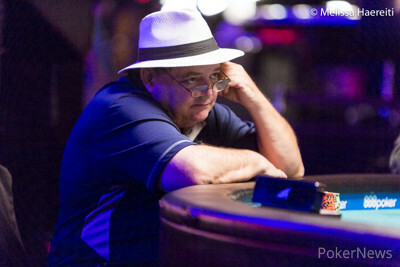 Singer and Kevin LaMonica traded blows throughout the entire day, starting from the first level. It got to the point where LaMonica began calling Singer his nemesis because of how often they were involved, and how often Singer beat him in a pot. And Singer was able to survive mostly thanks to LaMonica. 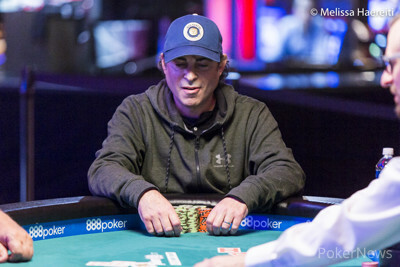 He doubled up through him multiple times, including once at the beginning of the final table where Singer made a straight and a low to scoop and survive. All of this culminated in one of the longest heads-up matches of the summer so far. Ian Johns fell next, also to LaMonica in a hand of limit hold’em, where LaMonica’s aces held up against Johns’ . LaMonica used his good fortune and monstrous chip stack to apply extreme pressure on his opponents. At the final table he was raising without looking at his cards, completing with tens, jacks, and kings up in Razz, calling with any four cards in Omaha. This relentless aggression would be the down fall of several players, including Shack-Harris and Pescatori. It was Singer on the other side of the table who acted as the silent assassin. He spoke very little, but after doubling up through LaMonica he managed to take out four players. Between LaMonica and Singer, they eliminated every other player at the final table, almost as if they were destined to come to a showdown. Singer and LaMonica’s heads-up match lasted for hours. LaMonica was so tired he asked to be comped a room, but he was told they couldn’t accommodate him at the hotel. “I guess it’s Circus Circus for me tonight,” he said. Eventually, Singer was able to wear down LaMonica, frustrating him with his slow, methodical, and tight play. LaMonica admitted to a friend going on break that Singer had put him on tilt and he was playing bad. 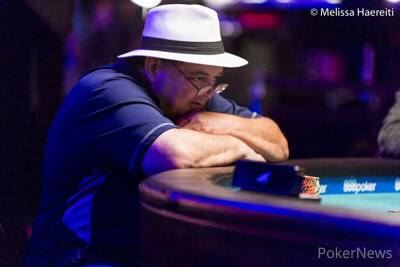 Singer never let up though, he stayed steady with his play for the entire final table, and finally, in the final hand, took LaMonica down by making a boat in Omaha Hi-Lo. Singer’s perseverance paid off. After being down to just one and a half big bets at one point he was able to come back and close out the tournament. “I was kind of frustrated,” Singer said. “But I always think I have a chance to come back.” And that he did. He was able to change the momentum of the heads up match and take home his second WSOP gold bracelet, after winning his first in 2008 in a $1,500 Pot-Limit Hold’em event. Kevin LaMonica called and David Singer checked his option. On the flop, Singer checked. LaMonica bet, Singer raised and LaMonica moved all in. Singer called and their hands were turned up. The board completed with the and the and that gave Singer a boat and the victory. LaMonica finshed as the runner up collecting $125,904 for his run. Kevin LaMonica raised and David Singer called. The two saw a flop of and Singer checked to LaMonica who bet. Singer called. The turn was the and Singer checked again. LaMonica moved all in and Singer called. The river was the and LaMonica, thinking Singer had won tapped the table. "Good game," he said. "You win." But he was wrong. 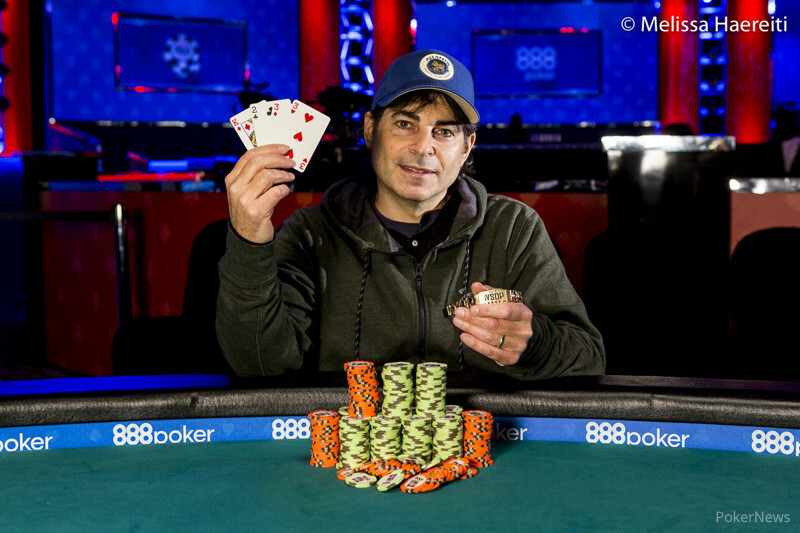 His pair of kings kept him in the lead and he scooped the pot, allowing him to double up. David Singer raised, Kevin LaMonica re-raised and was called. On the flop LaMonica led out and was called. On the turn he led out again, was raised and called. On the river LaMonica check-called and was shown for Singer's trip threes. LaMonica showed and mucked. LaMonica completed with the and Singer called. On fourth, LaMonica bet, Singer raised, and LaMonica called. On fifth, LaMonica check-called a bet from Singer. On sixth, upon seeing Singers pair of threes, LaMonica folded before Singer could bet. On 5th street Singer bet, LaMonica raised and was called. On 6th street Singer led out and was called. On 7th street Singer check-called and mucked after he was shown LaMonica's for a nine low. Kevin LaMonica raised on the button and David Singer defended. Both players checked the flop and Singer check-called the turn. Singer raised on the button and LaMonica defended. LaMonica proceeded to check-call all three streets on the board and had for jacks up. However Singer had for aces up and won the pot. Players are on a 15-minute break and will return shortly. Welcome to Day 3 of Event #14: $1,500 H.O.R.S.E.